Fan Conduct Class was designed for individuals who need to take a "Fan Code of Conduct" class as part of a requirement to re-enter a particular professional sports stadium or arena. Our program was designed by experts with the guidance of Dr. Ari Novick, a licensed psychotherapist. These are educational classes only and should not be taken as a substitute for medical or psychological counseling or advice or as a replacement for in/out patient treatment. We offer a comprehensive "fan code of conduct" class for many stadiums, including all NFL stadiums and many Major League Soccer arenas. Our Fan Code of Conduct classes address issues related to disruptive fan behavior, alcohol intoxication and other relevant fan code of conduct issues. The NFL Fan Conduct Class is mandatory for all NFL Teams. This program is part of the NFL's Best Practices for Fan Conduct Policy outlined in sections 2.6 and 2.7. 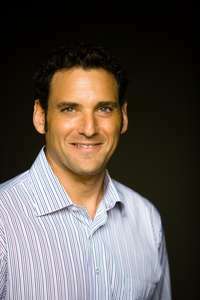 Ari Novick, Ph.D. is a Licensed Marriage and Family Therapist and Certified Anger Management Professional and trainer. He has a Bachelors degree in English Literature from the University of California at Santa Barbara; a Masters degree in Clinical Psychology from Pepperdine University; and a Ph.D in Clinical Psychology from the California Graduate Institute. He started his career in marketing, targeting youths aged 8-18. For eight years of his career, Novick held several sales and marketing positions for companies such as Vans Shoes (NYSE: VANS), The Timberland Company (NASDAQ: TBL) and Skechers USA (NYSE:SKX). Over the last five years, Novick has focused his career in clinical psychology and has a specialization in anger and stress management. Dr. Novick was also an adjunct professor of Psychology at Pepperdine University's Graduate School of Education and Psychology in 2007. Several years ago, Dr. Novick started the AJ Novick Group for Anger and Stress Management to meet the demand for these services. With the economy and other environmental factors contributing to the stress of daily life, Novick realized there has been an increased need for resources to manage stress and anger more effectively. Novick founded the AJ Novick Group to meet the needs of our community and to offer quality education and training to individuals who can utilize these skills. Novick has also been trained in drug, alcohol and tobacco prevention, socialization skills, legal awareness, communication and problem solving techniques, conflict management and resolution, assertion training, and is a certified anger management facilitator and trainer. Novick has made numerous presentations on the subjects of anger management, stress management and empathy. He has been featured on the Discovery Channel and Fox Television. Novick is also a corporate consultant and conducts workshops and seminars for corporations in both the public and private sectors. He is also the co-author of the highly acclaimed book in anger management, Anger Management for the Twenty-First Century. He is also the co-founder of Century Anger Management, which is one of the leading national training organizations in the field of Anger Management. Novick has a passion for working with people, and an understanding of the importance for proper communication with in the family, schools, workplace and the community. Novick is a member of the California Association of Marriage and Family Therapists (CAMFT) and a previous member of Psi Chi national honor society in Psychology. What is disruptive fan behavior? Ari J. Novick, Ph.D, is a practicing licensed psychotherapist, anger management and parent educator in Southern California. He can be reached at (949) 715-2694, on the web at www.ajnovickgroup.com or by email: [email protected]. He is also a past adjunct professor of psychology for Pepperdine University’s Graduate School of Education and Psychology. MLS does not endorse the views and opinions published on these pages, and accept no responsibility for them. Views are strictly those of the AJ Novick Group, Inc. and comments or questions regarding content should be sent to AJ Novick Group, Inc.